Quadrupedal Formula One world champions Red Bull Racing were victims of a burglary in the early hours of Saturday morning. Thieves drove a car through the front doors of the factory and stole over 60 trophies from their prized cabinet. 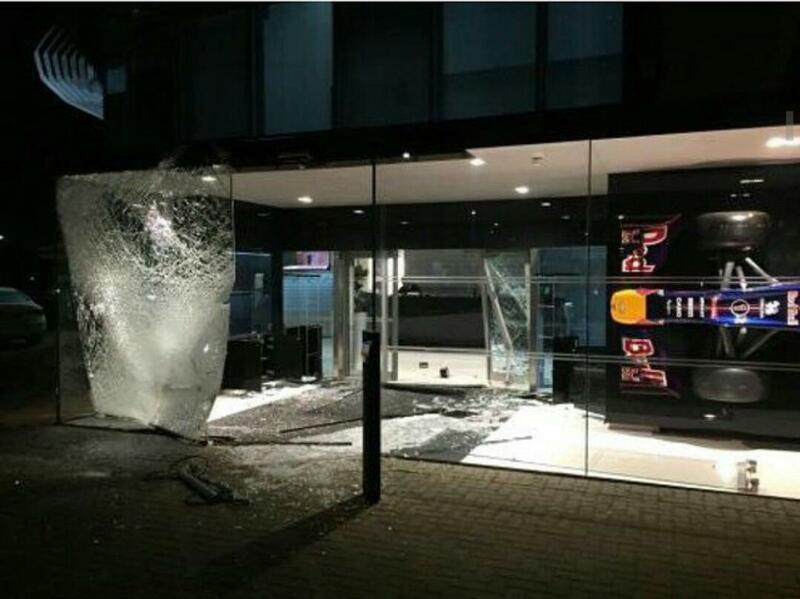 Statement from team principal Christian Horner: “We are obviously devastated by this serious factory break in, which saw offenders drive a vehicle through our front entrance and steal more than 60 trophies which took years and hard work to accumulate. “The break-in caused significant damage and was very upsetting for our night officers who were on duty at the time. The offenders took items that not only did not belong to them, but which represented the efforts of a group of dedicated, hard-working individuals. “The actions of these men mean it’s likely that we will have to make our site less accessible in the future, which will be unfair on the hundreds of fans that travel to visit our factory each year to see our trophies and our Formula One car. Thames Valley Police statement: “Thames Valley Police is appealing for witnesses after a burglary at a commercial premises in Bradbourne Drive, Tilbrook, Milton Keynes. “Police were called at 1.30am today (6/12) to the Red Bull Racing factory where a group of around six men, used a vehicle to drive through the front entrance to gain access to the premises. Once inside, they stole over 60 trophies belonging to the Red Bull Racing team. Night staff who were on the premises at the time were not physically harmed. “Two cars were involved in the burglary. A silver 4×4 which was used to drive through the entrance and a further dark coloured, black or dark blue Mercedes estate car. Both are believed to have foreign number plates. There is no description of the offenders available at this time, although they are all believed to be men, wearing dark clothing. “If you have any information that may assist the investigation, please contact Milton Keynes Force CID on the Thames Valley Police non-emergency enquiry centre number 101. If calling from overseas, please dial0044 1865 841148 to contact Thames Valley Police from outside of the United Kingdom.